How you provide break-fix and your IT services to your customers can make or break an IT department. Customer facing IT Service is usually the main “shop window” for customers of IT and, unless this is right, there can be passive or active resistance from customers to talk about other IT needs that may add value to the business. In short, no one will want to talk new stuff if you cant fix or help with the "here and now"! 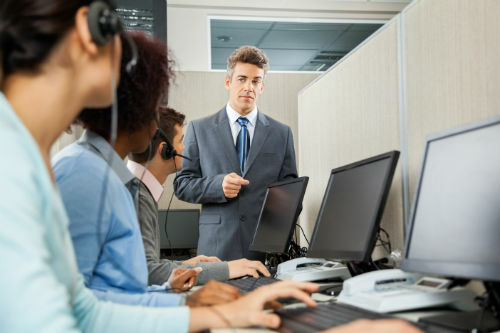 The interaction a customer has with your service desk also sets the view about the whole department whether its is a break-fix issue or a "how to" request. Most organisations want an efficient and customer friendly IT department which can deliver appropriate services against a changing business agenda in a cost effective manner. Achieving this effectively is the realm of IT Service Management, encompassed within the IT Infrastructure Library (ITIL) and the scope of the ISO/IEC 20000-1 Service Management Standard. Lights-On has a wealth of experience in setting up, re-organising, improving and re-aligning service desks and service mentality within IT departments so the service desk receives the support from other IT teams it needs to deliver excellent service. Get in touch for a no obligation and confidential discussion about how we may help you deliver better service and drive up customer satisfaction.